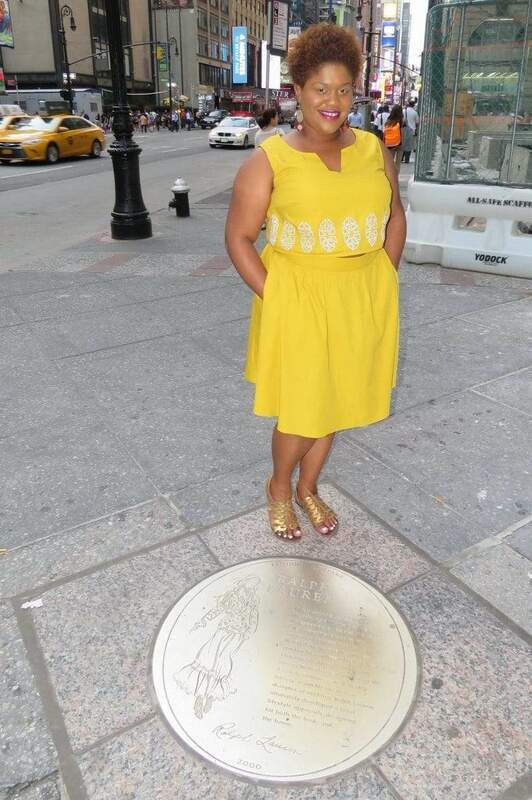 Today, we head out to Chicago to shine the light on another chic plus size fashion blogger! 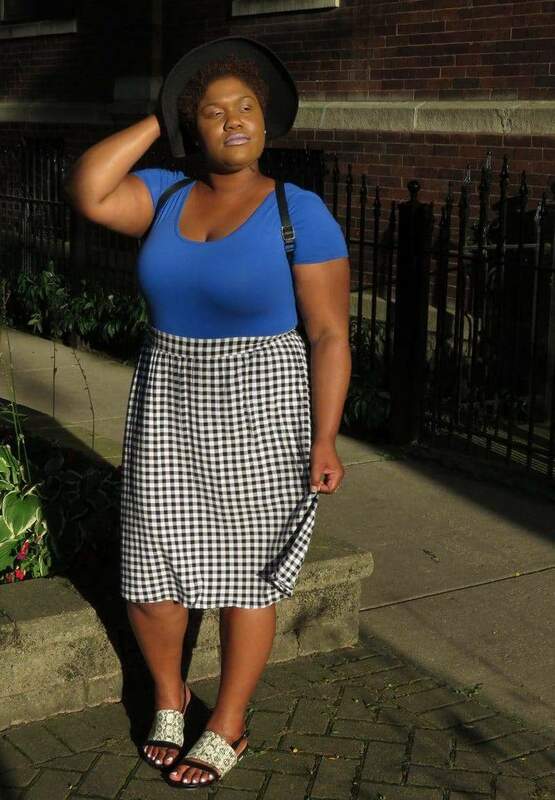 Meet Plus Size Fashion Blogger, Dasha of Windy City Wardrobe! Last week, we met up with Brooklyn blogger Ty of Gorgeous in Grey. Today, we head to the Midwest to spend a little time with Chicago-based Dasha of Windy City Wardrobe. I met Dasha a little over a year ago at a Go Blog Social blogging conference in Kansas City and was always disappointed we didn’t get a chance to hang out. Since meeting her, I have enjoyed following Dasha on social media. She has a positive energy that I enjoy and she isn’t afraid to rock some great colors and prints! Dasha works as a stylist and through her blog helps women dress their best by offering fashion and styling advice, personal style photos, beauty tips, and more! She is a plus size blogger YOU NEED TO KNOW!!! 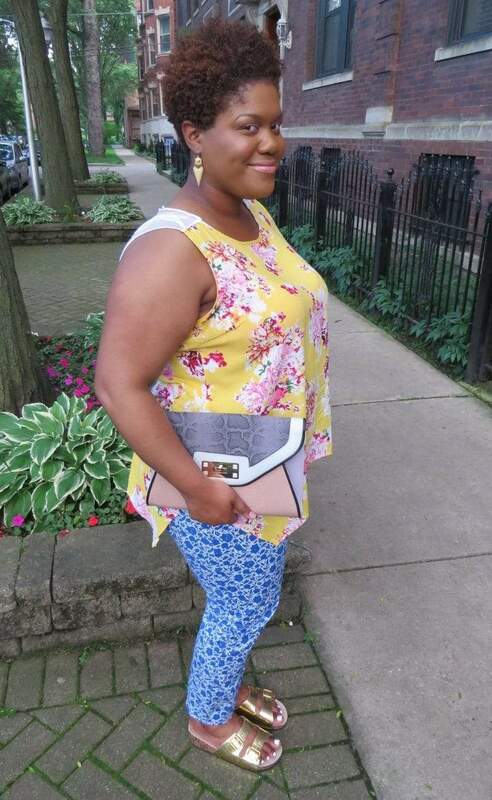 Meet Plus Size Blogger, Dasha of Windy City Wardrobe!!! This may sound weird but, Chik-Fil-A and Starbucks employees motivated me to start a style blog. I could never get anyone to focus on taking my order because they wanted to know if my bag was custom made or who does my hair, etc. This was really becoming an issue because I am a BUT FIRST COFFEE kind of girl. I decided I needed a business card, but I didn’t have a business. So I googled and compared platforms, then created a blog on WordPress and business cards on Etsy. I initially started blogging as a way to share fabulous finds. 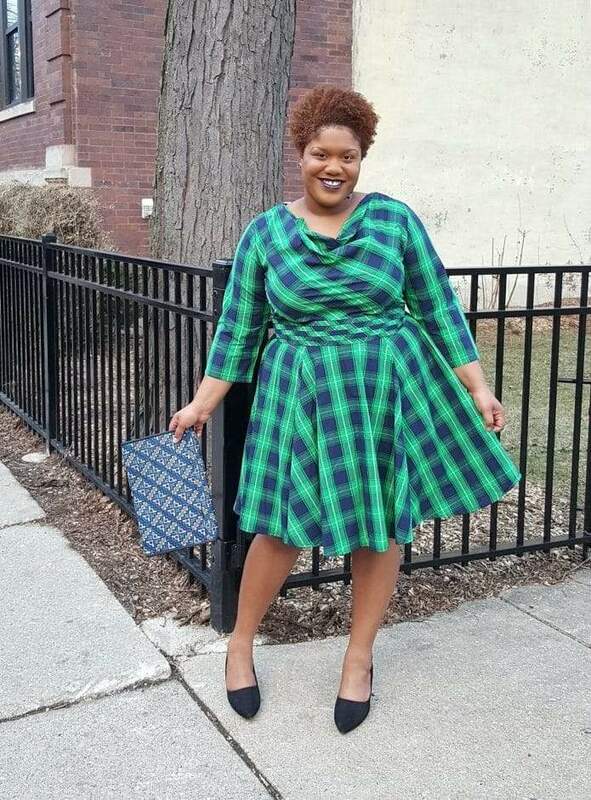 Windy City Wardrobe has grown into a part-time creative business. I’m sure I could have easily picked if you asked me this a few years ago, but now…I just love my body, my face, and my hair. I play it up by wearing colors and cuts that flatter my skin tone and shape. It can be challenging to find figure flattering pieces for my apple shape, broad shoulders, long torso, and big bust. It took a lot of work and there were a ton of hits and misses, but I eventually mastered the art of shopping for every figure and became a personal stylist and blogger. I love being a part of a welcoming and supportive community. I love being in the know and going to events exclusively for bloggers. I also enjoy teaching people to style themselves outside of their comfort zone. My favorites are ever-changing. I’m currently obsessed with eShakti, Torrid, Boohoo, Simply Be, and Macy’s. You can ask me this question every day of the week, and you’ll keep getting a different answer because I dress to express my mood. I am very inspired by Tanesha Awasthi which is why I was overjoyed when she accepted my invitation to be featured in my ongoing Wonder Woman series. View the interview here! The plus size industry has taken one step forward then two steps back for so long. I’m so happy this trend has come to an end. There are so many options now, but I don’t think I’ll be completely satisfied until there are more options in store. Unfortunately, so many people feel that their choices are limited by weight, height, and age. The limits really live in our minds, so I choose to be free and wear what makes me feel good. I am proud to be an editor at Modest Trust Mag as well as a brand ambassador for Go Blog Social, and Effie’s Paper. Curvy. Confident. Chic. That’s me! Be sure to check out Dasha’s blog at WindyCityWardrobe.com! so that we can feature you! Hey Cassandra! First of all, thank you for such a fabulous feature. Thanks to the TCF community my blog stats are booming so I appreciate the love. 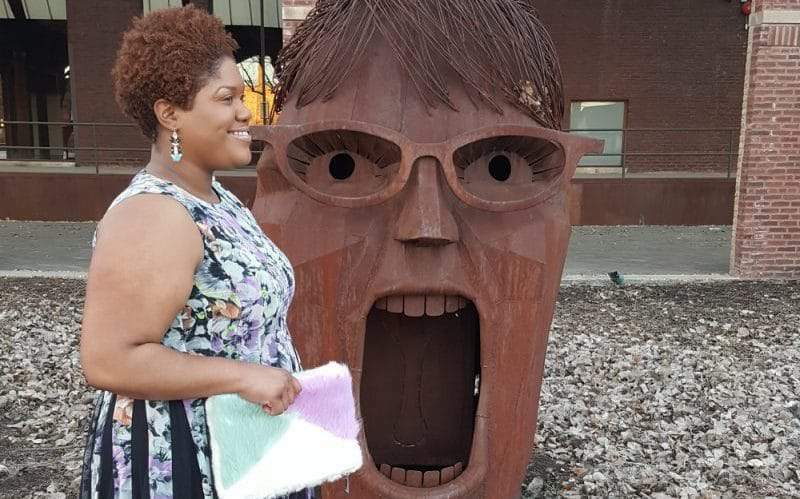 The Go Blog Social Conference made a huge impact on my blogging path and I also regret not getting a chance to chat with you more but there’s no time like the present. Let’s catch up and collaborate. Happy to shine the light love and so happy that you and Cass connected! 🙂 Yeahhhhh! You’ve worked so hard to build such a wonderful and uplifting community. YOU GO GIRL! I’m thrilled and thankful to be introduced to it. WOW! Her style is so awesome and refreshing. I will be keeping up with her. Thanks for sharing! Our pleasure! It is cool to learn about so many other bloggers who are doing their thing! I’m definitely a fan and only a little bit biased?. Windy City Wardrobe is a testament to the brilliance, creativity, and inspirational force of this wonderful woman. 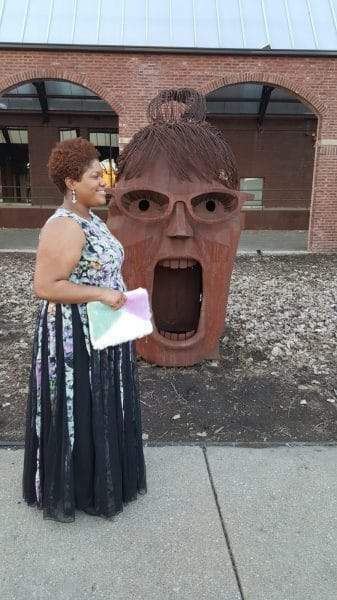 She not only harnessed her talents and singular vision to share her knowledge with world, but also created a positive platform to encourage discussions about everything from dressing for your body type to retail politics to street art. Dasha’s also one of the most thoughtful people I know, which is a great attribute to find in a stylist…I’m extremely lucky to be a “family client” because otherwise I’d own exactly one pair of shoes and somehow always be unprepared for every season. Thanks for sharing. I love the love she has from you!